While our focus in the curriculum is to ensure our children gain a firm foundation in basic literacy and numeracy skills, we also delight in involving them in the Arts. 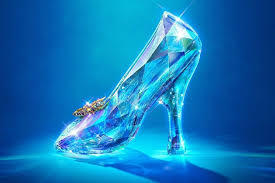 Live theatre is a fantastic way of demonstrating this to the children (as well as an opportunity for a fun morning out of school) and so each year tradition at Beech Green is a whole school outing to the local family friendly pantomime. 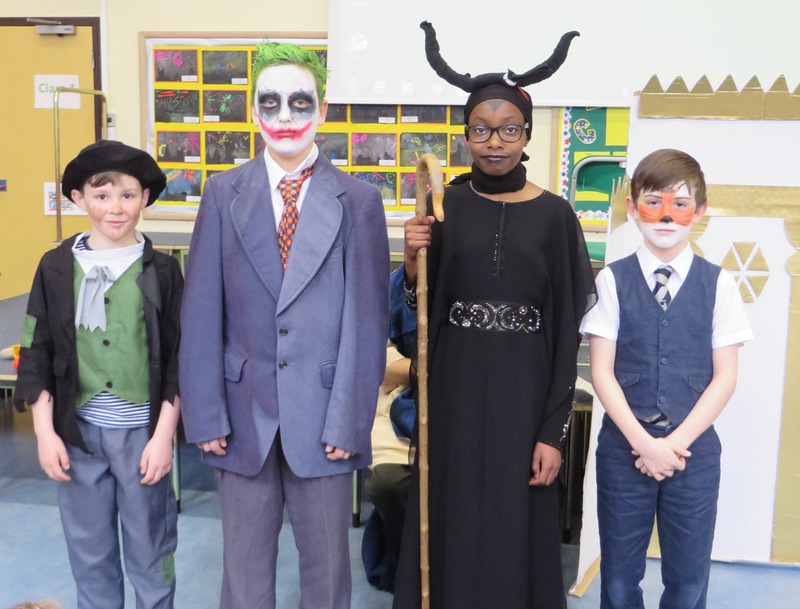 Assemblies in both KS1 and KS2 were a riot of colour with children dressed in pyjamas or a book character. In classes there were many activities related to a good variety of books. R- ‘Jack and the Beanstalk’ was acted out by the children in Reception. This story has been used for starting lots of activities, for example, carrying out problem solving to get the giant down and re-enacting the story in the role play area. Y1- read ‘The Tiger Who Came Tea’ by Judith Kerr. Using speech bubbles the children thought about what their Dad would say if the tiger came to their house. The children also wrote some fantastic descriptions about the tiger. Y2- after reading ‘Flat Stanley’ by Jeff Brown the children in year 2 made their own Flat Stanley and put him in an envelope. Y3 – studied ‘The Iron Man’ creating Iron Man music and collage robots. ‘The Iron Man’ by Ted Hughes is one of the books that year 3 will focus on as part of their reading. Y4 – looked at ‘Voices in the Park’ by Anthony Brown. Working in pairs they used the Learn pads to write adventure stories. The children published their final stories as e-books. Y5 – studied sections of The Bible linking it to their work about Easter. Using Espresso they looked at the story of ‘The Good Samaritan’ and created a comic strip retelling the story. Y6 – focused on the Hindu Myth about the heroine Shakuntala. The story is very complicated as there is a story within a story. The children worked well to understand the plot. 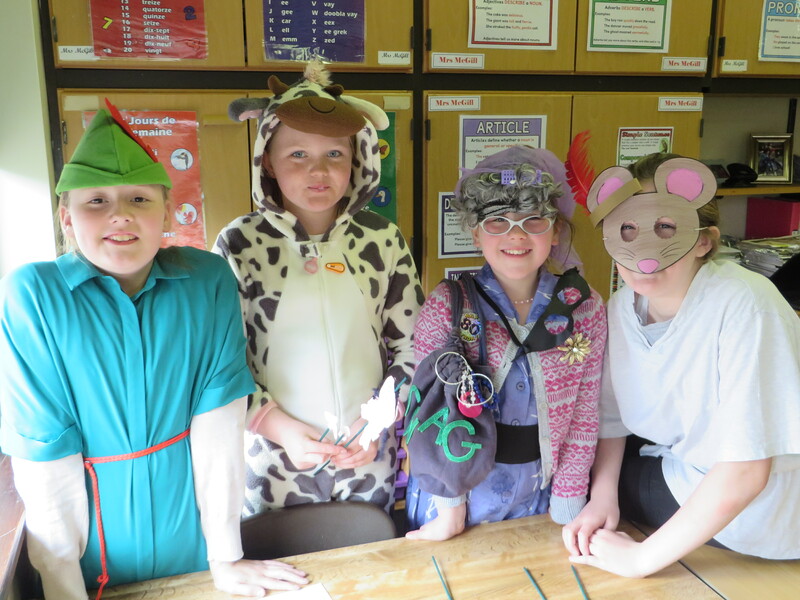 In groups they then created puppets and a simplified version of the story which they then performed in front of the year group. The end results were fantastic. 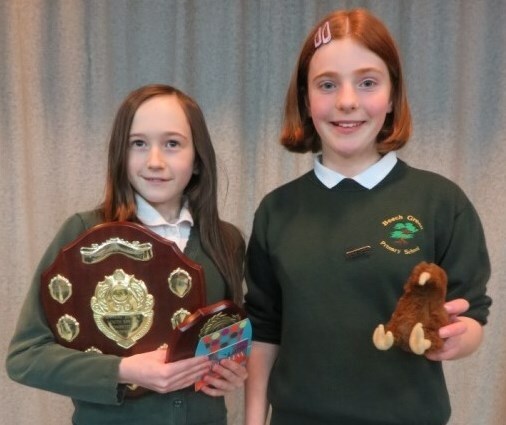 At The Cadbury Hall in Frampton, two Y6 pupils took part in the Severn Vale Rotary Club's Junior Youth Speaks Competition. The great news is that one of our girls was the winner. Her speech was about PacMan whilst the other told us about life in New Zealand. We started the preparations during the Christmas break when all Y6 pupils were asked to prepare a presentation about a topic that interested them. We were impressed by the number of children who completed the task to a very high standard. We then listened to all of the speeches in our classes and voted for our favourite 5 in each class. These 10 children spent more time working with their TA to rehearse and prepare to perform their speeches in front of a judging panel. Between them they selected our two Y6 girls to represent Beech Green at the finals against 6 children from 3 other schools. We were very proud of them. For many years pupils at Beech Green are given the opportunity to enter this Gloucestershire photographic competition. 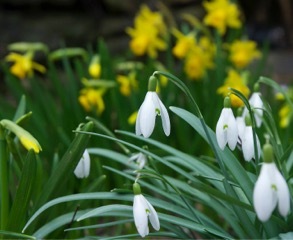 A couple of years ago a Y6 pupil scooped the overall first prize with her stunning photograph of spring-time snowdrops. Several children have been successful in getting their photos exhibited. We look forward to seeing the children's snaps for this year.